Chanel "So Black" Wallet On Chain (WOC) of aged black quilted calfskin leather and ruthenium hardware. This WOC has a front flap with the signature Mademoiselle turnlock closure, hidden snap closure, and an interwoven ruthenium chain link with aged black leather shoulder/crossbody bag (which can be tucked in to be worn as a clutch). The interior is lined in black fabric and black leather with top zipper pocket under the flap, a slit front pocket, a zipper compartment with leather pull, an open pocket with six credit card slots. 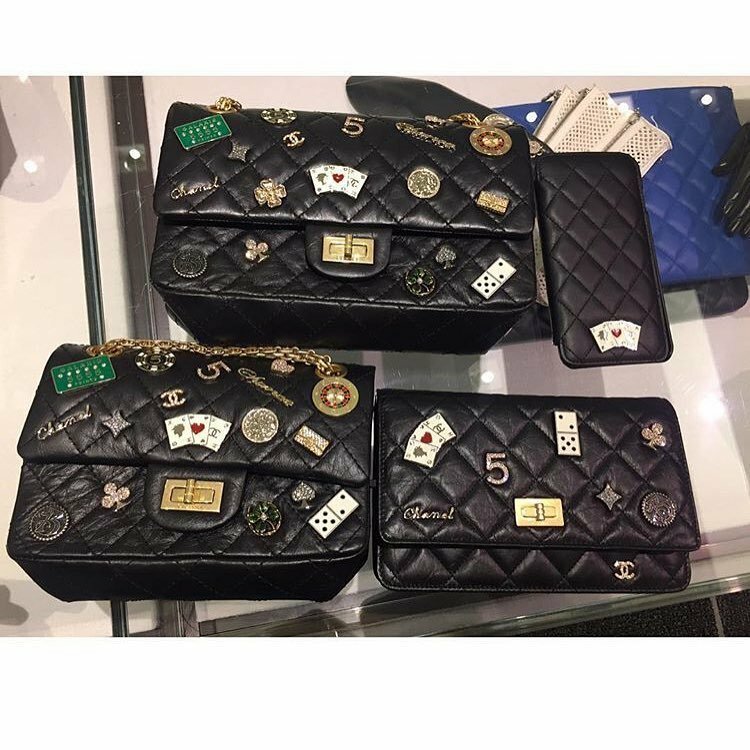 There are four Chanel Wallet On Chain Bags that are considered the ‘Must Haves’. These WOCs are made in such a way that you can call them ‘timeless’. 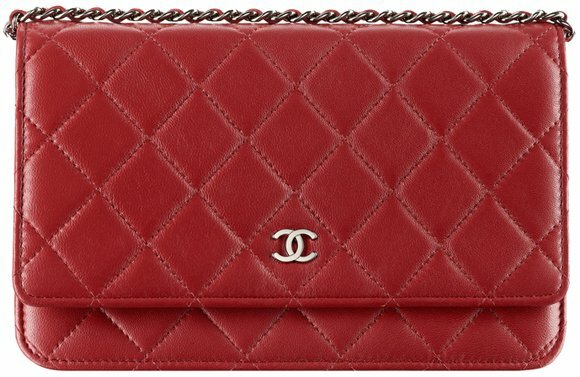 The first two are classics – the Chanel Classic Quilted WOC and the Chanel Reissue 2.55 WOC. The last two are recently introduced, but their fame has already reached the moon – the Chanel Trendy CC WOC and the Chanel golden Class Double CC WOC. The Chanel Reissue 2.55 WOC, also known as the Mademoiselle WOC, was released not long ago, but the idea came from the Chanel Reissue 2.55 Flap Bag and this bag doesn’t need any introduction. 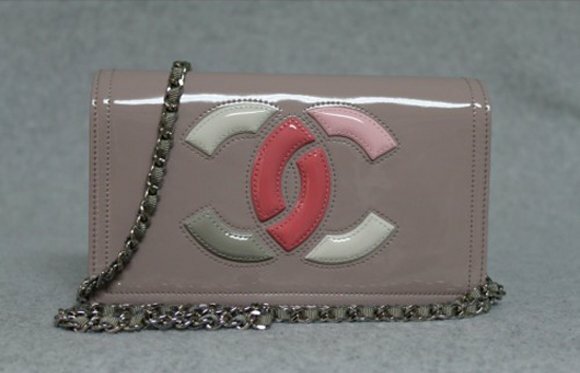 The Reissue 2.55 WOC went through the same process as the Chanel Reissue 2.55 Flap Bag, but with some adjustment of course due to its smaller size. But take a closer look – the famous Mademoiselle Lock, the leather looks like it has been worn and made from aged calfskin. With stunning chains, this bag deserves to be in your wardrobe. Consider this bag as the smallest size in the Chanel Reissue 2.55 Line; its perfect for the evenings and you will be wearing one of the iconic. How much glam is that? The interior is just like other WOC’s – structured and plenty of compartments for your essentials. Style code: A80834, measuring 4.8’ x 7.6’ x 1.4’ inches, priced at $2100 USD, €1915 euro, £1620 GBP, $3060 SGD, $16100 HKD, $3100 AUD, ¥260280 JPY via Chanel boutiques. Karl Lagerfeld went straight to the point, he said: ‘What I’ve done, Coco Chanel would never have done. She would have hated it’. 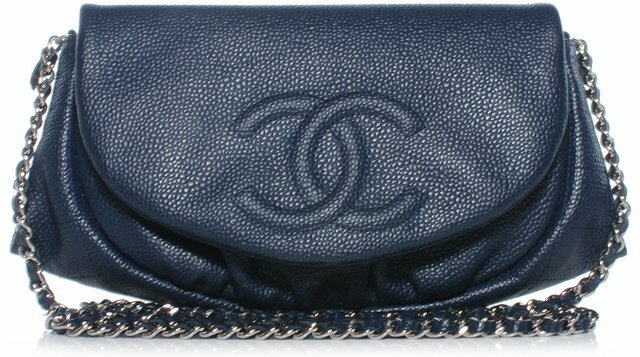 Would Coco Chanel shrink the Chanel 2.55 Reissue Flap Bag to a mini size? Coco Chanel was inspired to make this bag in 1920, because she was tired of carrying her bags on her arms and wanted something to free up her hands. The thin straps were added in 1929, inspired by the soldier’s bag. The final refinement and the update version of this bag was released in February 1955, this is how the Chanel 2.55 Flap Bag got its name. Now the iconic Chanel 2.55 is also available in the Wallet on Chain design. What a beauty! When I said that every traditional element has been added, then I mean it. 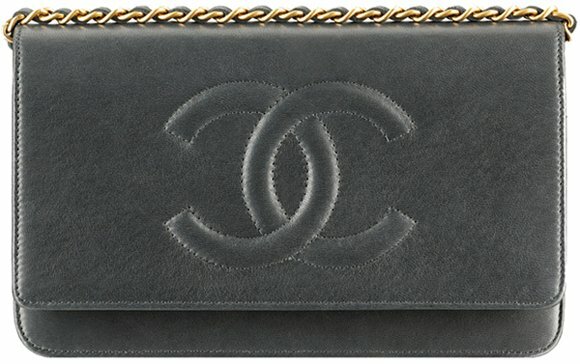 First, it’s made from aged calfskin, similar to the Chanel 2.55 Reissue Flap Bag. This leather makes this bag look like its ‘used’, a bit of vintage, which is amazing. Then what you also must admire is the mademoiselle lock, put in the center of this bag. This lock represents Coco Chanel for never getting married. At last, what is very limited nowadays, is that this version of 2.55 WOC is in all black. The Chanel 2.55 WOC so black is very limited and will vanish from the catalogues when this season is over. When it’s gone, then no one knows when it will return. Chanel 2.55 Wallet on Chain is measured 4.8’ x 7.5’ x 1.6’ inches. Oh, have you checked the Chanel Reissue 2.55 So black yet? You stare at the window, looking at the most beautiful purse you’ve ever seen. You check at the price, you can’t buy it because you need a shoulder bag, not another wallet. You walk away and wish it had a shoulder strap. But just like all beautiful things, you can’t get shake it off your head. This is the reason why the Chanel Wallet on Chain aka WOC was born. It’s the most versatile bag you can ever own, a ‘must have’. Wear it at day, take it to shopping, brag it at school and sling it at work, walk like a model at the runway because you got a Chanel and when the sun change places with the moon, hide the shoulder strap inside your bag and transform it into an evening clutch. Why the Chanel WOC? Unlike a clutch bag, it has enough space for all your essentials. It’s half the price of the classic flap bag, but still fully packed with Chanel traditions like the CC signature. There are enough types to choose from and available in different colors. WOC’s are well thought and structured bags, they are usually made in France and it has the quality to make you shine. Just like all Chanel accessories, the WOCs also increase in price every year. Fortunately it doesn’t go as fast as the more expensive bags like the 2.55 reissue or the boy bags. Even if you already own one of the classic flaps, it still good to own at least one WOC. The halfmoon has a complete different style. It has the shape like the moon, which makes it stand-out and flexible. You can store more essentials as it’s roomier than all other WOCs. The WOC timeless CC can’t get more iconic, a minimalistic shoulder bag with a large CC signature crafted on the flap. It’s true what they say: simplicity is the ultimate sophistication. Basically the WOC Classic Quilted is nothing more than the classic flap bag got shrunk. Diamond patterns are so elegant, the little CC logo gently crafted with interwoven chain links, it’s a bag to love. Camellia is Chanel’s biggest secret weapon, it’s catchy and feminine. The Camellia version is the most beautiful and playful WOC, excellent for girls who want to express their soft and innocent personality. The detailed flower patterns are to-die-for. The Brilliant is quite similar to the Classic Quilted, it has all the iconic features to make you fall in love, but the CC logo is a bit larger and the front flap is finished with a round curve. The Chanel Lipstick is the busiest WOC you will ever encounter. Usually they come in multi-colors, it’s a statement bag but at the same time noisy. Its best worn as casual. Oh boy, oh boy, where do I start? This WOC is literally the baby version of the iconic Chanel boy flap. It has the specially-made boy closure that represent the brand. With the strong refined masculine chain, you can be sure that you are ready and dressed-to-kill. Generally the WOCs has a strap drop of 24″ inch. It can be worn crossbody or on your shoulder. Chanel always introduces new Wallet on Chains every season, they change leathers and colors of the classics, but sometimes they release an entire new design. It looks like the House of Chanel is going to re-live the glorious days of the famous Chanel Reissue 2.55, a bag personally designed by Coco Chanel herself. It’s the classic flap bag that never goes out of style, talk about creating lasting impression in the fashion world. History has it that sometime in the 1920’s, Coco was fed up of carrying her handbags in her arms so she decided to design her own handbag that freed up her hands. Finding inspiration on soldiers’ bags, she found an ingenious way to add thin straps and introduced this timeless bag to the public in 1929. The said bag made its triumphant comeback in 1954 and Chanel further updated the said handbag. The finished product is now known as the 2.55 Bag named after the date of its creation, February 1955. Karl Lagerfeld, the brains behind Chanel reintroduced the 2.55 Flap Bag and later became known as the ‘Reissue’. Apparently, Chanel is going to introduce a new line of bags that require appreciable technical expertise in treating the leather which gradually acquires a patina that gives each bag its unique appeal. Voila! And now you have the Reissue 2.55 bag in soft leather. Now let’s take a good look at the new Chanel Reissue 2.55 Bag in Soft Leather. At first glance, it looks quite the same with the original bag but looking closer, there’s actually more to see. The new 2.55 bag’s bottom is crafted in red/burgundy color and if you really pay close attention to details, you’ll definitely appreciate the added elegant chain which more looks like a necklace’s chain to us. These are new changes that Chanel lovers would undoubtedly be smitten with. 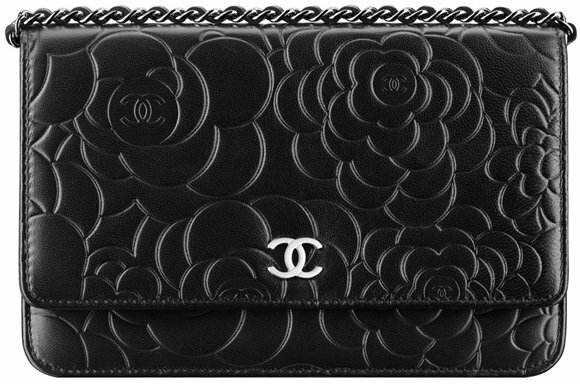 Chanel ladies and fans will absolutely fall head over heels with its Reissue 2.55 Small Wallet. 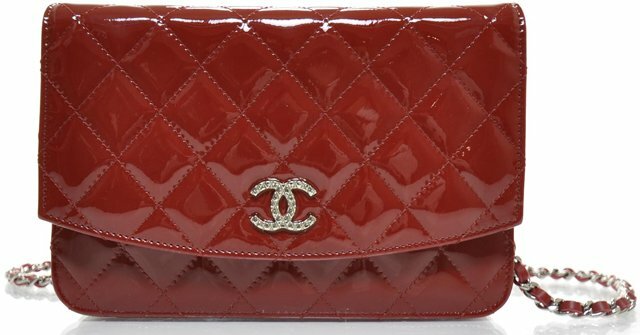 These leather gems are sure to make the waves in the fashion industry as the beloved and famous Chanel 2.55 now comes in the handy dandy form of wallets. Well, all bags have their own stories to tell and with each creation is a rich history that gives them their own unique personality. The Chanel 2.55 bears its name due to the simple reason that it was originally launched in public in February of 1955. The front lock also features the Mademoiselle Lock (because the legendary Coco Chanel was never married) which is strikingly different from the classic double CC logo we’re all familiar with. Karl Lagerfeld, who is now the creative director behind the famous fashion house reissued the 2.55 in February 2005 in commemoration to the 50th anniversary of the original 2.55 personally designed by Coco herself. A pure luxury on its own, the Chanel 2.55 is a luxury leather handbag/purse that changed the game and the course of the fashion industry. Fast forward to 2016, we know have the Reissue 2.55 but now in small wallets. It features aged calfskin and light gold metal materials with black and burgundy lining. So what do you think. Do you believe in love at first sight, being head over heels someone/something and finally getting serious? Well, the Chanel Reissue 2.55 Charms Shoulder Bag is definitely and without a fail a match made in heaven for the rebel chic in you. The mere fact that this is a Chanel quilted bag is already a win win situation not to mention that it has added embellishments such as card symbols, domino, spade, diamond and club designs make it even more adorable in our eyes. All things combined, this is a perfect love affair for those who are looking for an added flair and oomph. This one-of-a-kind bag is made up of pure black calf leather with quilted effect, has an internal slip pocket, a back slip pocket, a sliver-tone chain shoulder strap for added functionality, an internal flap closure with an internal snap button fastening, it sure is the perfect gift for yourself. Spoil yourself with nothing but the good things in life for you deserve only the best so never play safe when it comes to your handbags! Be the vintage rock chic you always are with this fashion statement and trust us, you will never ever go wrong. If you own the Chanel Reissue 2.55 Flap Bag, then to complete the collection, you need to have the Chanel Reissue 2.55 Flap Wallet. It just makes everything perfect. Everything about this wallet is stunning; all the elements from the original Reissue 2.55 Bag have been copied. For example, it’s made from aged calfskin to make it look like it’s been used. It’s refined with the same beautiful golden hardware and the mademoiselle lock is just to-die-for. The interior features credit card slots for all your cards, a zip-pocket and a few more compartments for cash or receipts. This is a not a tiny wallet, all your essentials can be stored inside. Style code: A80829, sized at 4.1’ x 7.7’ x 1.5’ inches, priced at $935 USD or €1000 euro via Chanel boutique. Oeps, another surprise! Now tell us what you really want to slip inside your handbag? 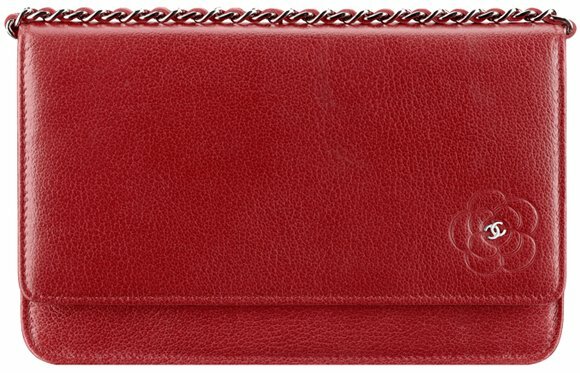 How about the Chanel Reissue 2.55 Flap Wallet? This is a new thing – the iconic 2.55 reissue reinvented into a flap accessory (2.55 reissue is one of the signature collection of Chanel). Now we do know that the Quilted Flap Wallet exists, but the Reissue 2.55 Flap Wallet? One please! So how to tell the difference between the original Chanel Quilted Flap Wallet and the Reissue 2.55 Quilted Flap Wallet? It’s all about the clasp – you see the Chanel Quilted Flap Wallet (the classic edition) is crafted with the CC logo on the front while the Chanel Reissue 2.55 is adorned with the Mademoiselle lock. And if you want deeper information, the Mademoiselle lock actually represents Coco Chanel for never marrying. Though we are certain you will find more colors, we do need you to know that for the Spring Summer 2016 Collection act 1, they’re made in washed denim. Measuring 4.1’ x 7.7’ x 1.4’ inches, style code A80829, priced at $900 USD or €795 euro at Chanel boutique.